Book yourself a ticket in the Municipal Bus for the 'Chaar Dhaam Yatra'. The bus leaves by 1400 hrs., so book Early ! The service is cheaper and better than the private players. So Don't miss it because of time. Make your advance arrangements for accommodation.You could be taken by surprise for the rush at times, given only a few good stay options available. 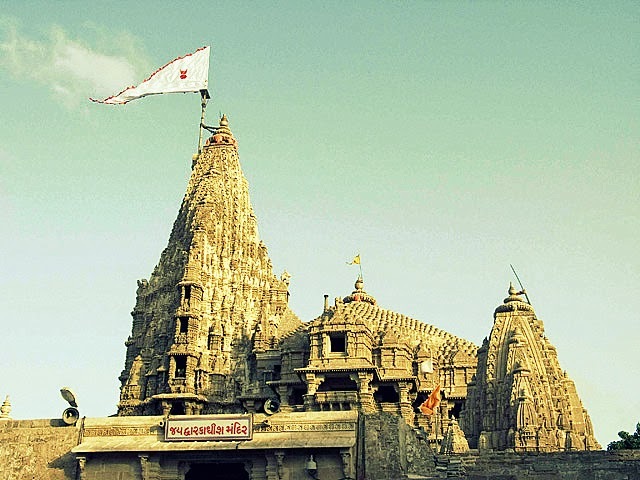 If planning to leave Dwarka for Ahmedabad overnight, Book your tickets early. The only overnight options are private buses, and the seats fill fast. Spare ample time for Bet Dwarka. The trip is worth few hours for sure. Shop in the market near JagatMandir. If planning to shop for 'Pooja' at home, Do check out the market here. It's better than Nathdwara, Udaipur. Did you like my post ? Did I miss out on an important detail ? Would you like to add more 'Things to Do' to the above. Please give your feedback. I'd love to see your comments below.